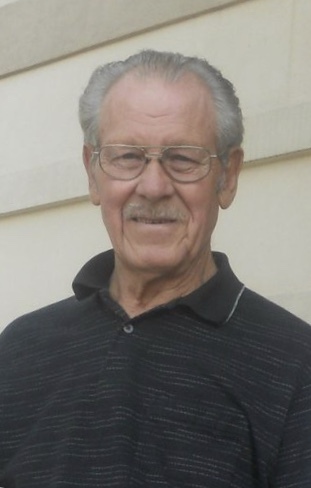 Marlin Siefken, 84, of Reinbeck, died peacefully at his home, with his loving family by his side on February 11, 2019, while under the care of Unity Point Hospice. Marlin had selflessly decided to donate his body to the University Of Iowa to aid in the education of medical students. A memorial gathering will be announced at a later date. Abels Funeral And Cremation Service, French-Hand Chapel, is taking care of Marlin and his family. Messages of condolence may be sent to 908 Park St Reinbeck, IA 50669. Marlin was born on June 9, 1934, in Reinbeck, to his parents Simon and Hilka (Siebrands) Siefken. He attended Reinbeck High School. Marlin married Gail Evans on August 7, 1955, and raised their four daughters in Reinbeck. Marlin was a very active resident of Reinbeck where he was a volunteer fireman and policeman. He loved fixing cars and eventually owned and operated the Sinclair Gas Station and later Marlin’s Body Shop and Towing. Anyone who knew Marlin enjoyed his sense of humor, practical jokes, and many stories he loved to tell. Marlin’s passions were shooting guns, spending time with his ever growing family, and playing his harmonica for friends, family, and the residents at Parkview Manor. Marlin’s most important passion was his love for the Lord, which he was not hesitant to share with anyone. Marlin & Gail also fostered many children in their loving home. Marlin is survived by his wife Gail, daughters Robin (Harold) Whitman of Belton MO., Darlene (Glenn) Lanphier of Newton, IA, Lanette (Russ) Frost of Clive, IA, Gloria (Tom) Miller of Crystal Lake, IL. ; 11 grandchildren and 14 great grandchildren; brother Donald Siefken and sister Marie Smith. He was preceded in death by his parents Simon & Hilka Siefken, sister’s Verdene Siefken, Hilda Aswegen, Mavis Mathern and brother Hilko (John) Siefken.